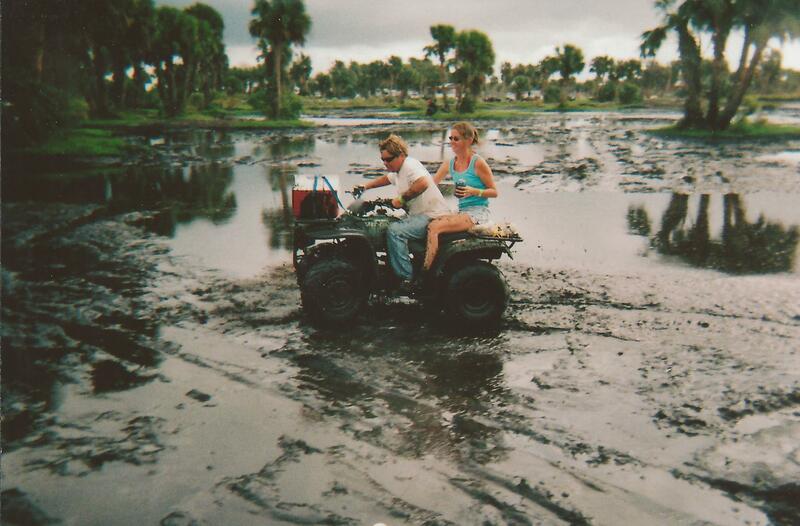 We had fun in our 4-wheeling days, it is just not something I want to do anymore. We went out with our neighbor once after Dave’s accident, and that was it. I hadn’t given much thought to exactly how I felt about the activity until just a couple of days ago when I was talking with my neighbor about it. I don’t remember thinking anything bad about it, but I don’t remember having fun either. As time went on, I couldn’t give it much thought because when I would recall Dave’s accident, I would feel some sort of anxiety. It happened to me when I came across pictures of us 4-wheeling and anything that reminded me of his accident. Well I have decided that I have had enough of that. I also decided that I am not against ATV’s in any way, it is just not an activity for me anymore. I knew a few years ago that I wanted to write about his accident and other stuff that I just was not ready to tackle at that time. “Maybe when it’s been 10 years,” I said to myself, making a mental note to deal with whatever I needed to deal with to be able to talk about it and do the online photo album I have longed to do and share. It’s weird, but I could not start this journey of sharing my photos until I felt that I was not purposefully skipping over a big chunk of my life just because I was uncomfortable with it. And Dave, well he is different. He has always said something like he sees no sense in using mental energy for anything other than what he is doing right now. In other words, whatever it is, if it is done and over with, then there is nothing to “get over” because it is over. He is very accepting of the past. Me, not so much. However, I have decided that I would like to change this. Therefore, being a person of sound mind, I should be able to change this! So when I look at the photos of us 4-wheeling, I will choose to think of how much fun we had in that chapter of our lives (and secretly be glad that it is closed), and not be afraid of my feelings any longer. These were taken in 2005. And it wasn’t always mud. Trail rides were fun, too. I just came across the photos from our last ride. They tell a story. I remember now. Coming next.